Chocolate & popcorn is a sure-fire way to make you happy, right? 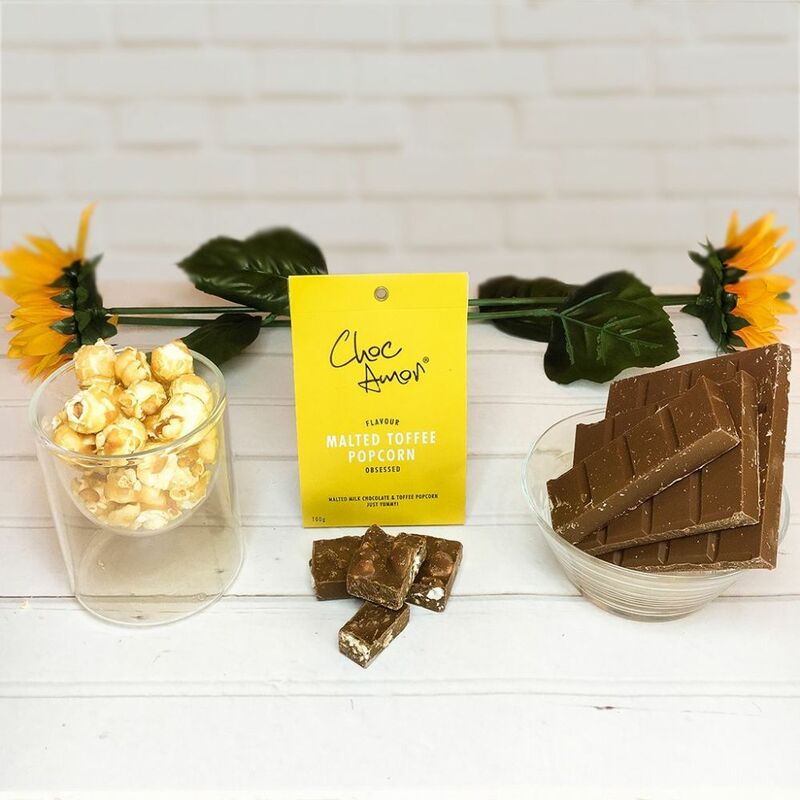 Choc Amor's luxury malted milk chocolate and toffee popcorn is a fab combination to boost happiness. How to eat: Chew to get the satisfaction from the sticky toffee popcorn, then you’ll get the delicious taste of malty milk chocolate. Made: Finely made in Lancashire, England. Gift Packaging: the chocolate comes in a beautiful card and brass packet as shown.